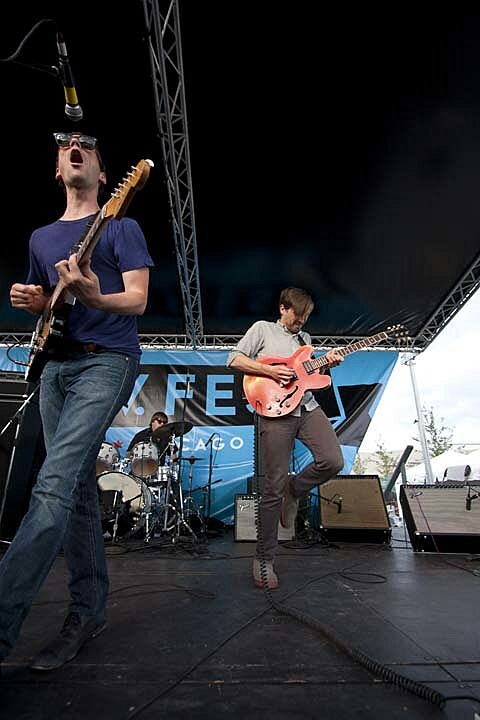 We’re happy to say that according to Sonic Youth‘s blog, Chicago’s own Disappears (who they now share a drummer with) are at work on a new album due out in 2012! The upcoming record to be released on Kranky Records will be Disappears’ first LP with Steve Shelley. Basic tracks were recorded in Hoboken, NJ with Aaron Mullan engineering. Currently off tour, the band have one upcoming gig that happens to be a hometown one as well. They’ll ring in the new year at Empty Bottle with Bare Mutants and Outer Minds. Tickets are on sale now. Also in the works, is a collaborative LP with friends White/Light who made a soundboard recording of their House of Blues – Lollapalooza aftershow, opening for Arctic Monkeys. Look out for that in 2012 as well. Could there be a better way to spend New Year’s?